I was very lucky to be invited to the UK launch of the Evoque convertible in Christchurch, which has to be one of the most beautiful places in England. I was there with fellow journalists who all write for lifestyle magazines, so imagine me representing Luxe and rubbing shoulders with the writers for Red magazine, Town & Country etc and you have the gist. We all met the car’s designer and the gentleman who planned the Evoque’s excellent sat-nav and infotainment system. We were also given a talk about Land Rover’s involvement in the America’s cup. Sorry guys but I must admit I nearly fell asleep through this section as I have no interest in sailing at all – although I do wish Land Rover good luck trying to bring the cup back to England. 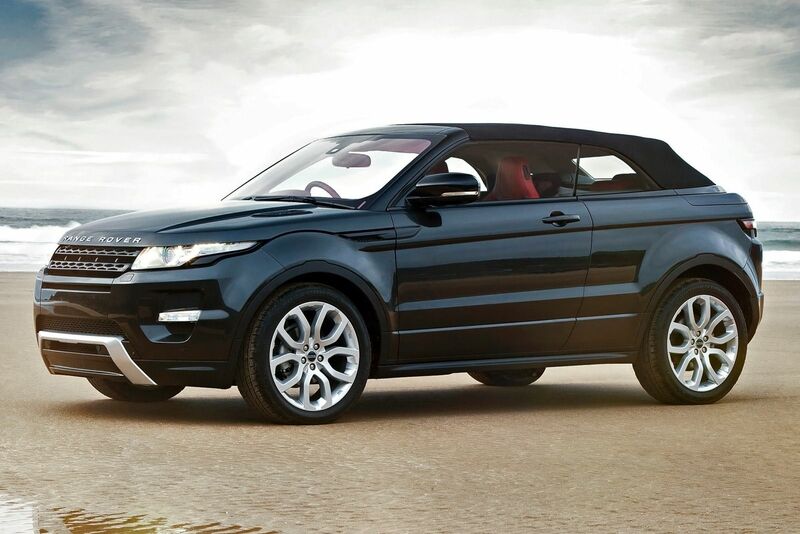 The Evoque was launched back in 2012 and it became the fastest selling Range Rover of all time. Victoria Beckham was brought on board to design the interior although I’m not sure what her input was at all. I was one of the many people who bought into the Evoque. Although it started off bring quite reasonably priced by the time you stared adding in specs the car became very expensive indeed. I went for the 5 door diesel Dynamic HSE, despite wanting the coupe I was advised to buy the 5 door for resale. During the war most of the Jeeps and Defenders had the roofs chopped off for machine guns and such and were very much workhorses with no luxury at all. Nissan chopped the roof off the Murano a while ago but it wasn’t a sales success as it just looked odd. 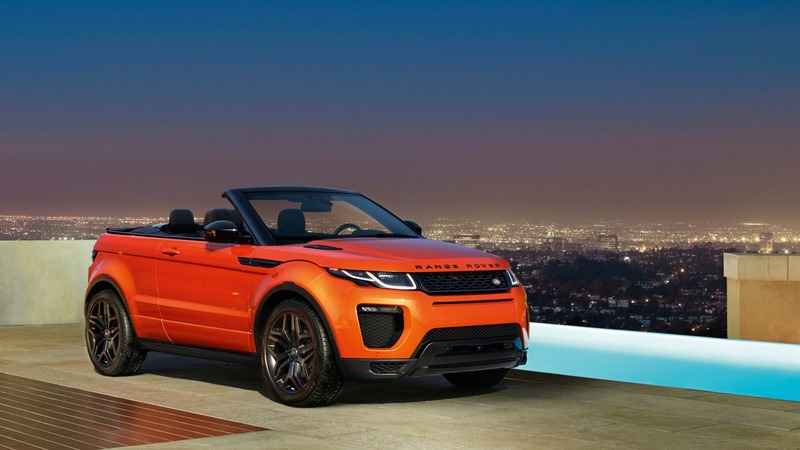 The Evoque convertible is nicely in-between style and function. It looks really good with the roof up or down and Instead of using a metal roof the designers decided to go with a fabric roof. The main beneﬁts being weight saving and the fold away roof so there is a decent amount of boot space. The roof can be folded on the move and it lowers and raises in 20 seconds. Despite the roof being axed the Evoque was still very rigid with no scuttle or rattles in the cabin at all. This may have been due to the extra weight of the under-body reinforcement and the suspension has been strengthened which adds over 300kg over the coupe Evoque. Despite the extra weight it was still great to drive at speed and it savoured corners and winding roads. The boot has 251 litres of room or enough room for a few overnight bags or a trip to the supermarket for a weekly shop. Owners have two trim options and they are either HSE Dynamic or HSE Dynamic Lux, with a fully-spec car costing up to £52,000. Both engine choices are 2lt engines and despite the diesel being economical the petrol engine is the best choice all day long. The petrol engine produces 237bhp and it gets to 62mph in 8.6seconds and its top speed is 130mph. The best-selling engine will be the diesel which produces 171bhp and it gets to 62mph in 10.3 seconds getting to a top speed of 121mph. As with any Range Rover this car excels off road even if most owners will never venture that way. Even if they do it is generally mounting the pavement outside of the school. The car is ﬁtted with sophisticated four wheel drive and it switches to front wheel drive when cruising and also features a 500mm wade capacity. I’m guessing it wouldn’t be good for people who sadly suffered in the recent ﬂoods this year, but it might be interesting to go through shallow rivers or the like. As with other Evoques the convertible is ﬁtted with hill descent control and all-terrain progress control which would get most owners out of tricky conditions. Once you step inside the car you are greeted with a very nice interior as the leather and piano black trim just ooze quality. The heated seats are a nice touch, with self-parking and the rear sensors essential as the rear window is tiny. I drove the orange coloured car and coupled with the black alloy wheels it really looked very smart. The infotainment system is much better than the previous Evoque’s with the dash dominated by a 10.2 inch screen and the use of Google maps making for a much better system overall. It was very easy to pair my phone to the system and everything was very user friendly. I’m sure this Evoque will sell like hot cakes as it has no competition at the moment. You have the practicality of a four-wheel drive car with the option to drop the roof whenever we get our Great British “summer”.